Vine Branch church Ibadan was today robbed by armed robbers during the Sunday service presided over by the founder of the international church, Rev. Sola Kolade. 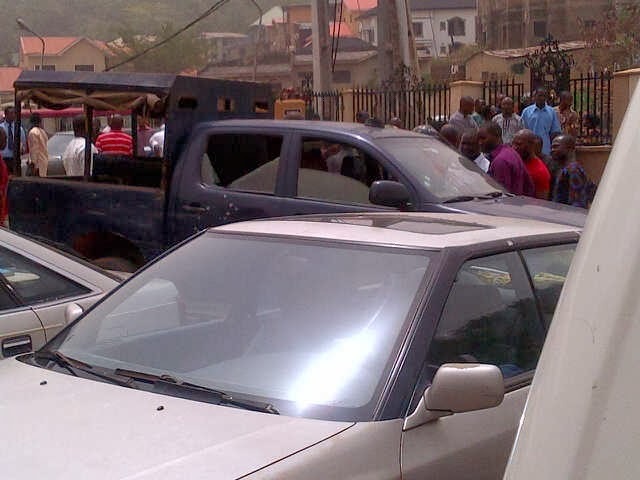 Information so far gathered by IBPulse.com revealed that 7 armed robbers arrived at the popular church around 12:30 pm in the afternoon and killed 2 policemen stationed outside the church. During the 15 minute-long operation, several items including money, phones and valuable items were carted away by the robbers. Although Rev. Sola Kolade did not sustain any form of injury during the operation, several members of the church were injured and were subsequently taken to a nearby hospital for medical treatment. The Sunday service came to an abrupt end at 12:50pm when worshipers were asked to go home to allow police investigation into the robbery incidence.